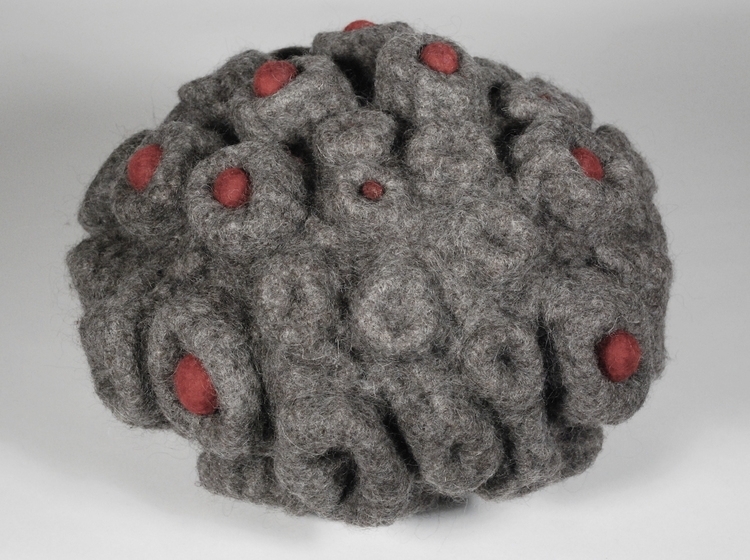 Felt-making involves working with basic materials and tools: wool, water, soap, and my hands. This simple process is the entry point for the development of complex techniques at many stages, from laying out the wool fibres to creating embellishments. 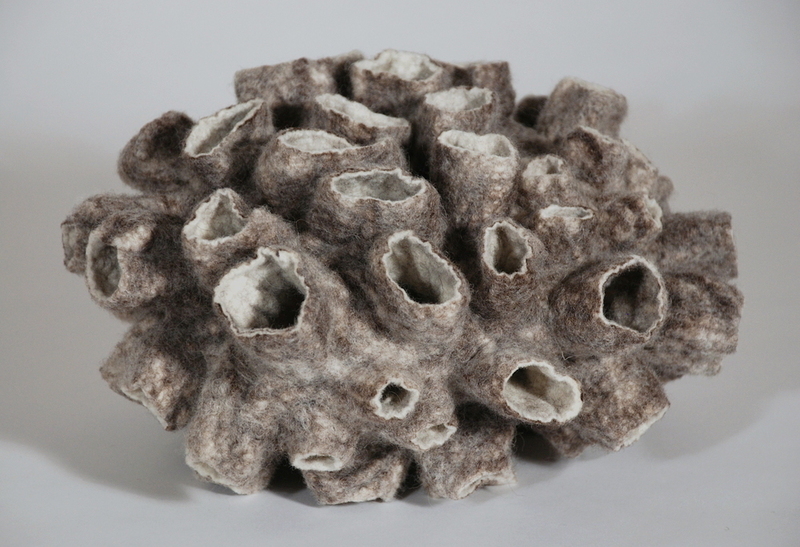 I use mainly wool in its natural colours, for a simple and pure aesthetic that references the origins of the material. 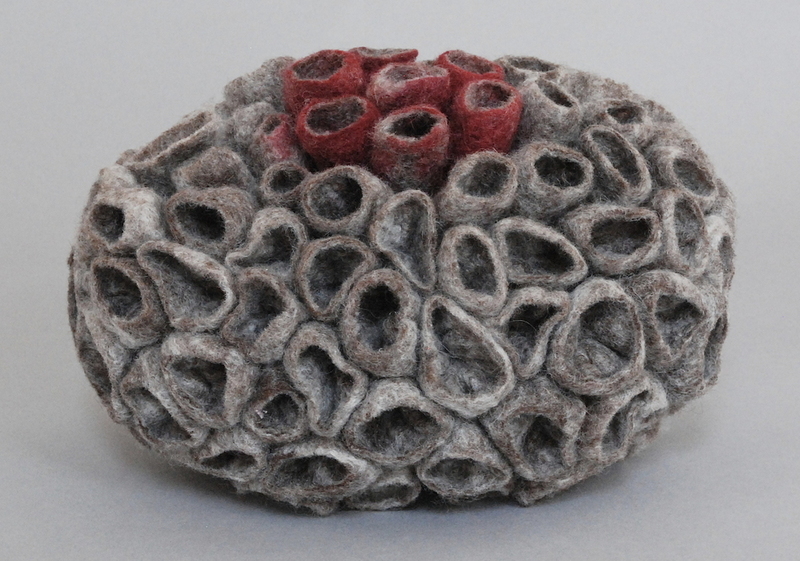 The sculptures are made of felt; some are encased with an embellished textile that strengthens the pieces both physically and symbolically, others are marked with hand stitching. 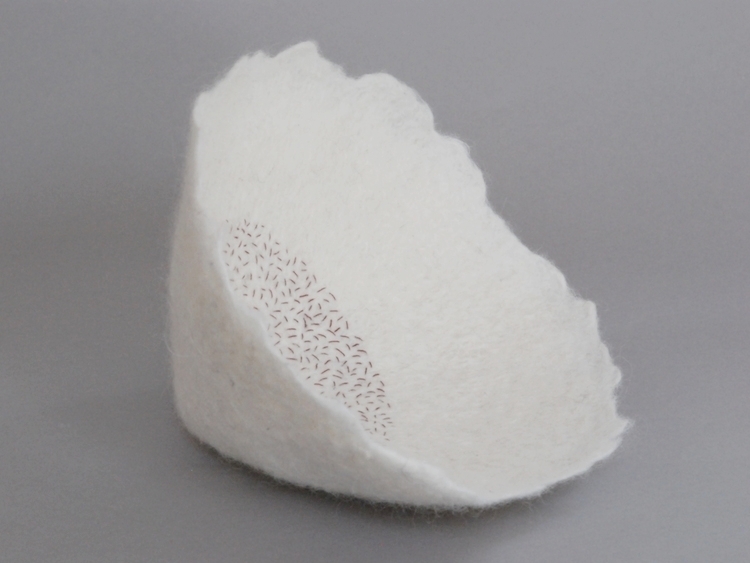 Felt has a warm appeal and is soft to the touch: these pieces are intended to be handled. 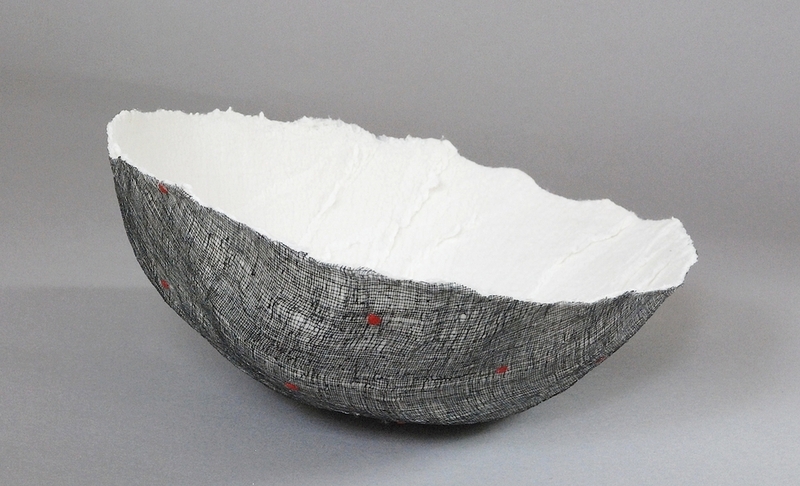 The soft interiors of these elongated pieces are encased with painted cloth and wax. Imaginary communities of marine invertebrates known as cup corals. The curls in Stitches are subtly visible throughout, and form delicate extensions along their edges. The markings in their centres are hand-stitched. 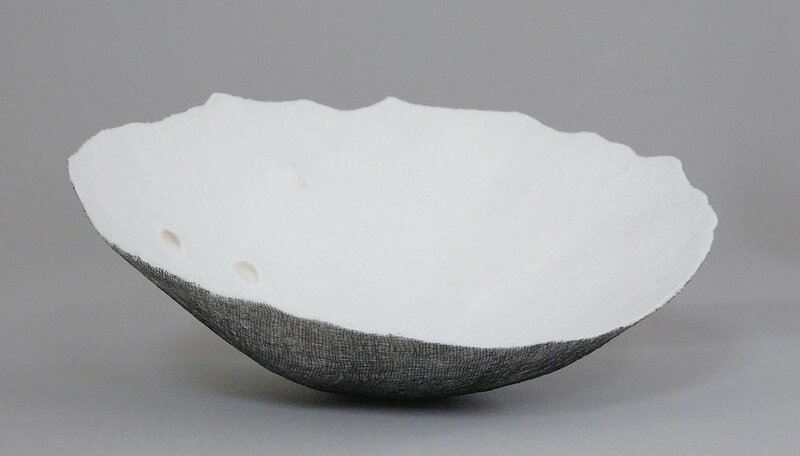 Snow is the inspiration for the pure white interiors of these sculptures. Blizzard, whiteout, flurry, sleet, snow squall - our language describes the variety of forms that snow takes, and our preoccupation with talking about the weather. The surface markings on each Vessel - holes, ridges, mounds - make each one as unique as a snowflake. 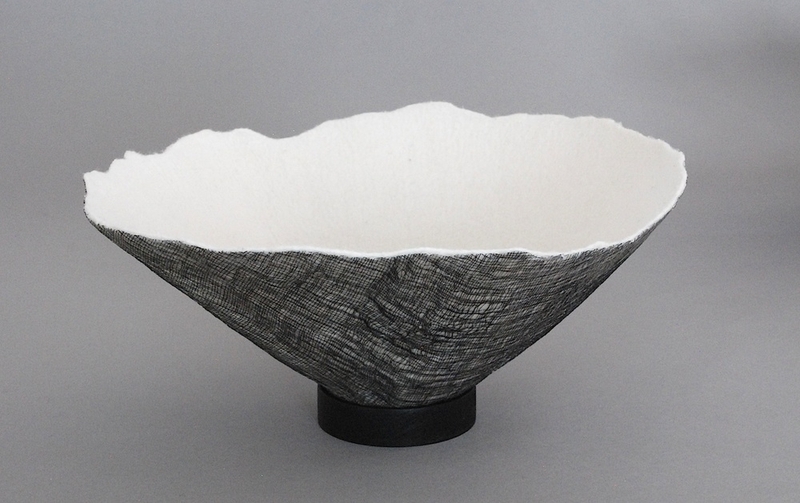 Open and arching skywards, these vessels have creamy white insides and sinuous edges. Each nests lightly on a stained walnut stand.